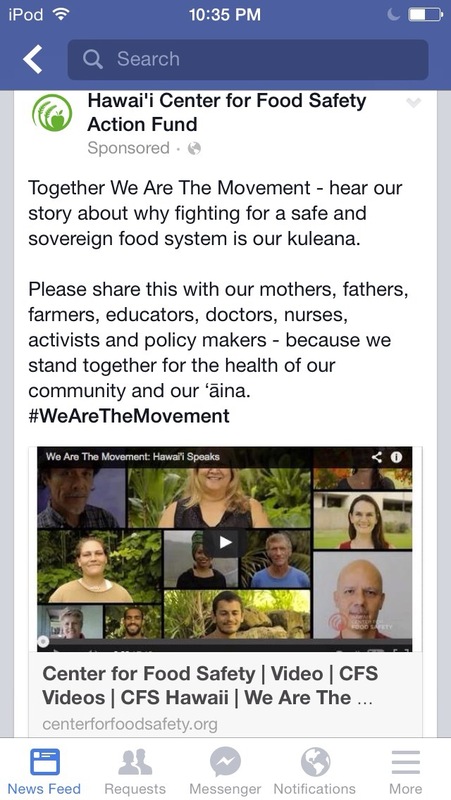 Thanksgiving week was yet another bomb for the anti-GMO movement with the invalidation of the Big Island GMO ban. So far, two of the anti-GMO laws have been struck down in the courts. 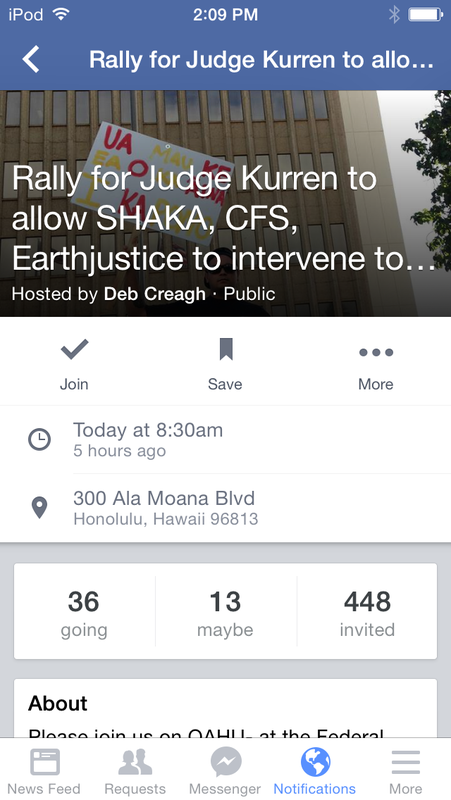 It’s pretty likely that the Maui law will also be invalidated. The sad thing is that so many activists still don’t quite understand why this is happening. The truth is that most of them don’t even understand the scope of the issue. As you read the online commentary, the most frequent statement these people make is that clearly the judge is bought or paid off. It’s an easy cop out to make that comment but it tells a lot about where these folks’ thought processes lie. To think that a judge is willing to risk his career and reputation for one issue is so absurd it’s not even funny. Making such baseless accusations is insulting to a person who chose a career to defend and respect the law is beyond logical and rational thinking. The activists really show that they don’t understand the judicial system that they are attempting influence. It’s no wonder they can’t quite figure out why they can’t pass an enforceable law to begin with. If these people don’t think the judge is paid off, then they resort to companies buying politicians off. It’s interesting because when these bad laws were passed, I never heard anything being said that the Margaret Willes or Gary Hoosers were being paid off by the organic industry and the environmentalists. Those indeed were the backers behind those heavy handed social media campaigns with their messages of “I’m being poisoned” paranoia. No one pointed that out. The greater truth is that the whole issue with agricultural technology is far beyond the general public’s understanding, yet they still feel that they are “experts” on the subject. When you look at the array of those speaking out against biotechnology, it’s rarely a true career farmer. The tactics that they use are always emotion based and targeted to create doubt in some of seemingly intelligent people. Activists can continue their ideology based crusade against this perceived evil and continue the de-education of people or actually try to figure out why they can’t pass a legitimate law. Telling the truth to their followers will likely make them lose some and that is not what they need. Keeping people from the truth is easier and protects people from straying from the ideology based flock. With the upcoming legislative session coming up, I hope that our leaders get a clue to stop pandering to misinformation based activism. We’ve got tons of issues to deal with from homelessness to cost of living issues. Isn’t it about time that some start facing REAL problems for once??? The activists keep organizing marches that have led to angry people but no real action. How sustainable is a protest after protest that yields no food and bad policy? It’s obviously unsustainable with no results to show for it. And that’s the painful truth we have to contend with. Human nature is a very peculiar thing to observe. It doesn’t matter what aspect of our lives we see it in, it tends to surface throughout the many issues we experience. As I’m in the process of preparing to lay my grandmother to rest, I’m starting to see how people cannot let go of the past. No one is perfect and we all make mistakes in our lives. Some of these mistakes leave large scars in our minds that never leave. That scar is just a reminder of the harm done in the past. People can choose to repeatedly look at those scars and indelible marks of our past and relive the incidences that caused it. Round and round in our minds the memory of the harm done only ingrains itself further to the point that our only memories of the person revolves around the pain inflicted and nothing else. We are left with bad feelings and nothing else. Like that mouse running in the exercise wheel, our minds remain in that circle going no where. Thinking about all the bad things about the person keeps us in that wheel of cyclic thoughts. Have we done anything better with our time, energy, and effort by allowing us to stay stuck in that wheel? Obviously, it’s done nothing. I see so many parallels between the demonizing of a certain company for their past history as well as what’s happening to my grandma. I’ll admit that she has done things in her life that left many marks and scars in others lives. Who hasn’t? Do we continue to be the mouse in the wheel reliving it and using those scars against her even though she is no longer with us? I say there is a time to let go of this because it only harms our present and future thoughts of her and limits the potential of the relationships. I know that she wasn’t the perfect mother or grandmother. She was difficult and stubborn many times and did things that hurt. It’s hard to forget those things. Some may perceive it as unforgivable. However, leaving one’s mind in that state only can poison the future relationships. It also leaves out any potential to see her in any other light. Her past will remain with her but it doesn’t mean that we only remember her in that negative way. 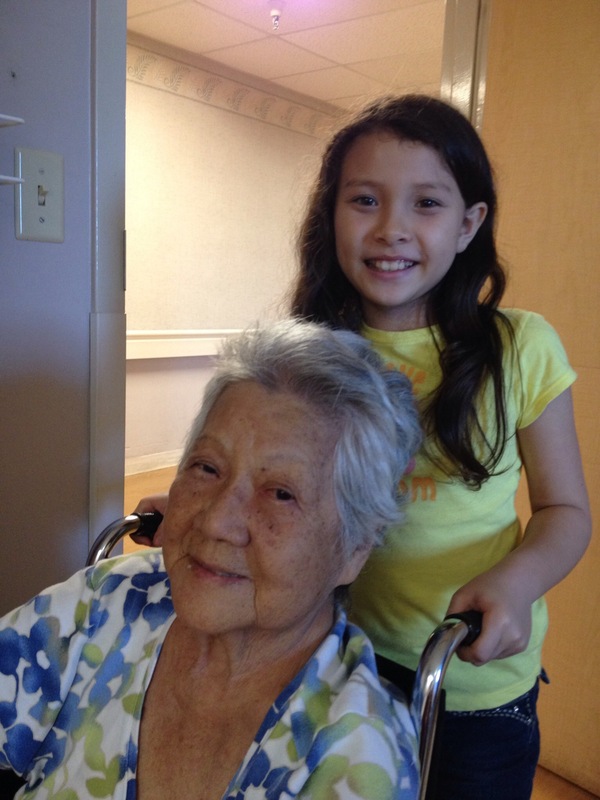 As her caregiver and granddaughter, I did not want my children to be left with the negative things of her past. I wanted her to have a fresh new relationship with them about who she is underneath that hard headed demeanor. I didn’t want them to relive her mistakes through me. She deserved a second chance. My kids brought out the best in her. They loved her unconditionally and she loved them the same. They held no bad memories of what she did against her. I really think that she finally learned what unconditional love really was through them. She never had that as a child and it took a lifetime to learn it through 3 generations, but it did happen. That is a gift that no money could ever buy. We can stick to our human nature to constantly be reminded of the past and we will never move forward. I choose to move forward from that past and learn from it to make the present and future better. I’m thankful today to be given that insight to move in this direction. After 8 years of caring for my grandma, she left for a better place yesterday. She lived to the ripe old age of 88 and remained at her own home up until 2 months ago when dementia made her care too difficult for me. I’d have to say that she was pretty lucky to have lived that long in her home considering all the multiple medical issues she had. Over the last few years, I went through a journey with her as her caregiver. She was extremely headstrong and determined to be independent even though it was clearly slipping from her. I had to literally fight with her to take care of her personal care issues as she was in denial of it. There were days where I’d want to scream in frustration about it. I wanted her to live in the most dignified way possible despite her mind deteriorating. I decided to start venting about these day to day frustrations on my Facebook account since I felt so trapped at times. I had two young kids and was working too. No one can understand what it’s like to deal with many of these issues. Of course some of my family members didn’t like it and felt that I should not be discussing it openly. I was told over and and over to just put her in a care home and be done with it. These “observers” felt was the best thing to do for her. I disagreed. I knew that doing this at that point would have made her miserable since she was too aware of what was happening. It would’ve been more awful to place her while still alert at that time. She’d likely would have given the caregiver a bad time also, which was not right to me. Not only was I dealing with her care needs, but I was also dealing with others telling me what to do. My friends on FB instead was giving me support via their messages and comments. That is what kept me on the path to do what is right. I needed to hear support from people to keep me on the track to doing what was right for her. As I look back on all of these years, I’ve realized that the ones with the loudest voices tend to be the ones who never experienced what it’s like to be a caregiver. They don’t know that a caregiver has to take care of another person’s bills, clean up after them, change an adult brief, cook and feed the person, wash clothes, arrange appointments, drive them places, and listen that person’s frustrations also. One can’t just pick up and leave to go anywhere because you couldn’t leave a person with dementia alone. You literally are trapped at home, or so it feels that way. It’s easy to get caught in between that person’s own frustrations with getting old and that’s not easy to deal with either. My grandma never anticipated getting old either. The job description changes day to day and year to year. It is never static. 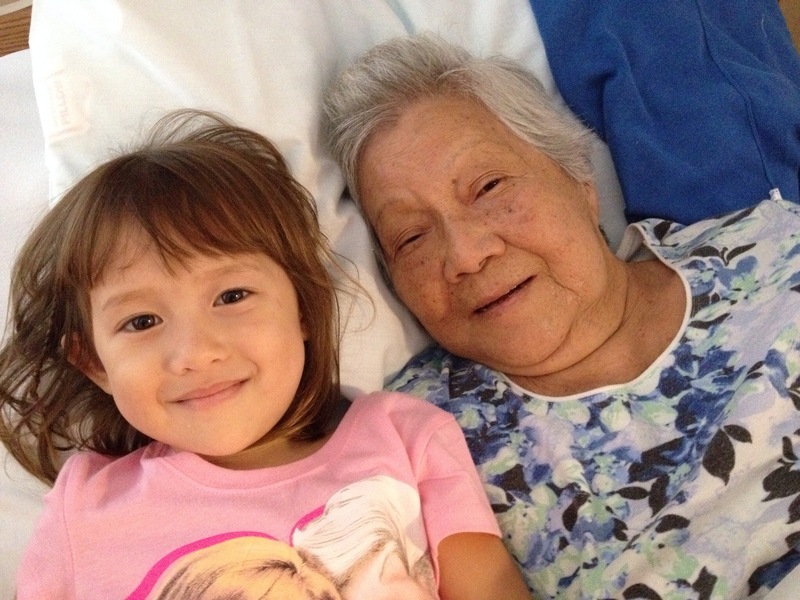 No one knows what caregiving is like until you actually experience it. It is easy however to stand on the outside to tell others how and what do to. When you don’t actually do the job, people come up with great solutions for everything. It’s mainly due to the fact that these finger pointers don’t even understand the problems to begin with. I see a lot of parallels to my role as a caregiver to the issues going on in Hawaii. We’ve got thousands of SHAKA members and GMO free members pointing their fingers and holding up their protest signs trying to dictate to farmers how they want things done. The fact is that the vast majority of these folks have never farmed for a living, maybe have a garden, and don’t even have a background in agriculture, but they sure have a loud voice. They know how to fix what they perceive as the problem. Yes, the people like Ashley Lukens of the Hawaii Center for Food Safety, failed mayoral candidate Dustin Barca, Naomi Carmona of the Babes Against Biotech, as well as pandering political leaders like Kaniela Ing, Tulsi Gabbard, and Gary Hooser all have their idealistic views of Hawaii being an organic farming haven that they tout over and over. Have any of them farmed for their living to know what it’s like? Have they studied agriculture to understand the science behind it? None can actually show the dirt under their fingernails or the callouses on their hands to show us that they indeed have any experience with what they speak about. It’s exactly like all the naysayers I had while caring for my grandma. Easy to see something from afar and give your best advice, but way harder to step up and actually walk the talk. When you listen with those who walk the talk and do the actual work, you get a different, but real perspective of the true issues at hand. One also develops a greater sense of respect for all the others who do the real work. So who will you listen to and respect? Will you listen to the wannabe-I-know-everything-but-know-nothing people or will you listen to those who lived the experience? I hope people start taking heed to the experienced folks over the loud and shortsighted internet activists with soft clean hands. Rest in peace my Grandma. I hope I gave you the best life I could in your last years. You’ve taught me so much as a person these last few months. Thank you for allowing me to help you on your last journey. I hope my experience as your caregiver can help others see the truth and reality about a noble job that so many others can hopefully appreciate. Support the people who have lived the experiences and know the reality. They deserve our wholehearted support! Most people know my dad as the long time papaya farmer. He’s also pretty well known in Laie as he ran the BYU farm and physical plant for several decades. What many folks don’t know is that he also is a veteran in the Vietnam war. As a kid, I didn’t even realize his service in the Air Force. It was only until a few years ago I learned about the extent to which he served. 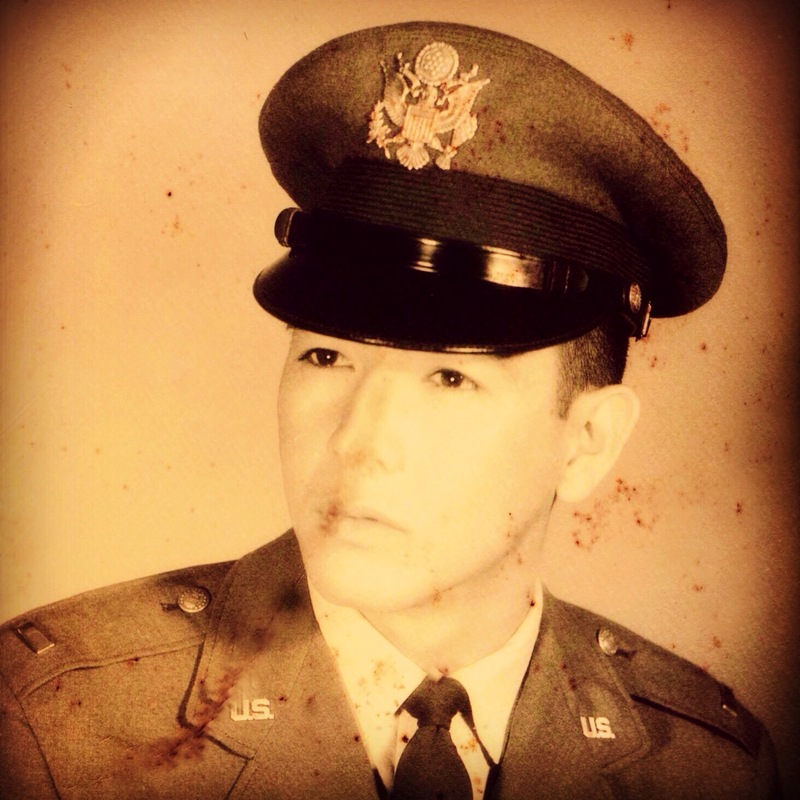 He was in the Air Force from 1966-1969 and reached the rank of Captain. He was honorably discharged and awarded a Bronze Star for Meritorious Service . Along with those facts, he told me of the stories of discrimination he encountered being of Okinawan descent and the horrors that he witnessed while on the grounds. Life of a veteran was no easy task and no one should ever forget that. Those lessons learned also taught him how to persevere as a farmer. Let us remember all the veterans who fought for our freedoms and honor them today. While you’re honoring them, honor the farmer veterans and the farmers who fed them while they served us! 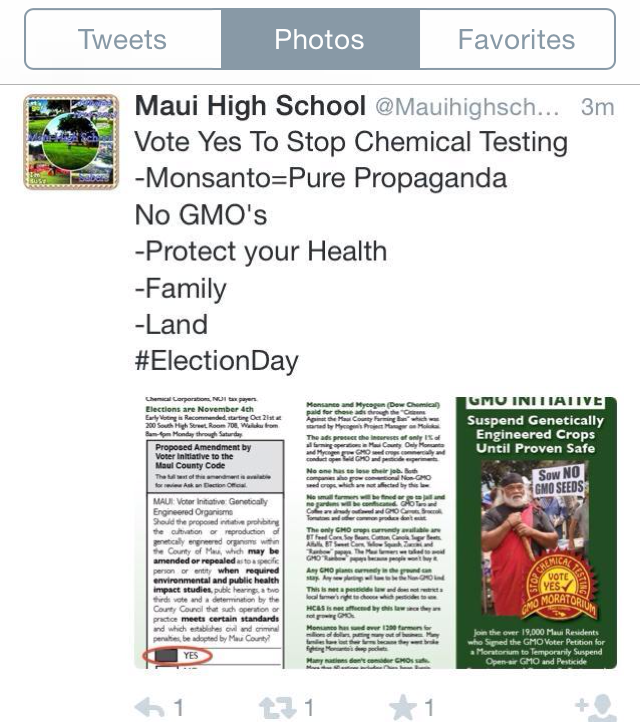 It is really disappointing but not surprising that Maui County narrowly passed the GMO initiative. It didn’t matter how badly flawed the law was, emotion and doubt prevailed in the end. That’s the saddest part about all of this anti-science movement. It has absolutely no basis in any kind of evidence, and is grounded in fear and disinformation repeated over and over. I’ve encountered so many online discussions with activists to know that these people have very little to no knowledge of some key concepts involved in these issues. None could ever tell me anything about basic genetics let alone chemistry and biology. Neither do these folks understand the process of evidence based practice and lawmaking to fully understand the consequence of what they are voting for. That just tells me that we have a large percentage of people who read things off the internet and use that information to base their decisions off of. We have not given people the tools to decipher and critically vet what they read through our education process. Apparently in Hawaii, on Maui County and Kauai County especially, the numbers show that quite a few voters have become swept up in all of this. The GMO initiative passed, Margaret Wille, Gary Hooser, Kaniela Ing, and Mason Chock get back in their political seats. The public still wants these people representing their interests and it’s disappointing. There are greater consequences when we as a society continue to take actions like this. We’ve allowed groups from Washington, DC to dictate policy based in emotion rather than science and evidence. Just read an ad that the Center for Food Safety sponsored a few weeks ago. As you can see, there is no mention of utilizing science and research to grow this food movement. Meanwhile, the scientific community is preparing to address some dire consequences of climate change. Heck, Representative Chris Lee is hyped about getting Hawaii ready for it but then co-mingles with the Center for Food Safety! That’s ironic! The rejection of science has also led to a growing outbreak of preventable diseases too. We just had two cases of measles a few weeks ago. It puts the most vulnerable at risk to these illnesses when we continue to reject the evidence. That is terrifying to me knowing that my kids could catch something that is so preventable. I’m definitely not a proud of what has happened in Hawaii. It totally frustrates me that we have become an emotion based state rather than one who embraces science and technology. We are so isolated from knowing what is happening around the world and cling to the romanticism of the old ways yet quickly want the latest high tech device and drive the latest hybrid. Hawaii will still be that state I left 15 years ago as backwards as it is today with few to little opportunities for our educated generation of students. Here we talk about growing Hawaii’s food supply and decreasing our dependence on imports but the take actions that move us away from it. What farm has activist Nomi Carmona and political science PhD Ashley Lukens started up here? Neither have their roots in Hawaii either but somehow feel they know what’s best for local folks, which is typical of many mainland transplants. What have they grown and demonstrated that they want to help in this effort? They have done nothing but stand on their pulpits touting message that attack our farmers. They talk in idyllic terms of working together with the community, but aren’t sincere about it. It’s funny that both of them have blocked me on the social media, just like Russell Ruderman and others. How does one work with others when you’re not open to seeing the other side. It’s clear, they aren’t just like the rest of the activists. The Shaka Movement and Center for Food Safety may be celebrating their short lived win, but ultimately, all of Hawaii has lost but can’t even recognize it. Besides parents being the number one influence on a child, teachers play a big role in shaping your child for the future. They are there to help open minds and teach them to be open to discovery, developing curiosity, and a love for continuous learning. However, it is appearing that there are some teachers in the public school system who apparently are not fostering this in our kids. Instead, they are teaching kids to be activists and not instilling skills of skepticism, critical thinking, or logic. This is Mrs. Smith, a teacher at Iao Middle School, wearing a SHAKA Movement tshirt in the classroom! How is it that a middle school teacher has the right credentials and background to be “educating” these students on the issue at hand? Instead of teaching science and the latest research, this teacher’s influence is on promoting activism! Is this going to help our keiki find future opportunities, or just keep them stuck in ideologies? We all know the answer to that. Not only are some teachers involving themselves in activism and bringing it to the classroom but even Maui High School’s social media accounts are doing the same thing to students!! A Tweet posted today from MHS. As a taxpayer funding the Department of Education, these kinds of alliances are utterly saddening. Our public schools, their resources, and employees should not be megaphones for activism. It will provide our keiki no skills for their future. It will get Hawaii nowhere when we have an even greater population of people ill-educated and fearful of science and technology. We already have too many right now! We don’t need more Babes Against Biotech women or Hawaii Seed ecoterrorists blockading research and science. They take away tools and give nothing in return except social protests and concerts that yield empty rhetoric. We are killing our future generations if we teach fear and misinformation and this hurts all of us. Yes, you’ve read the title of this post correctly. There is a link between the SHAKA Movement and the Matrix. 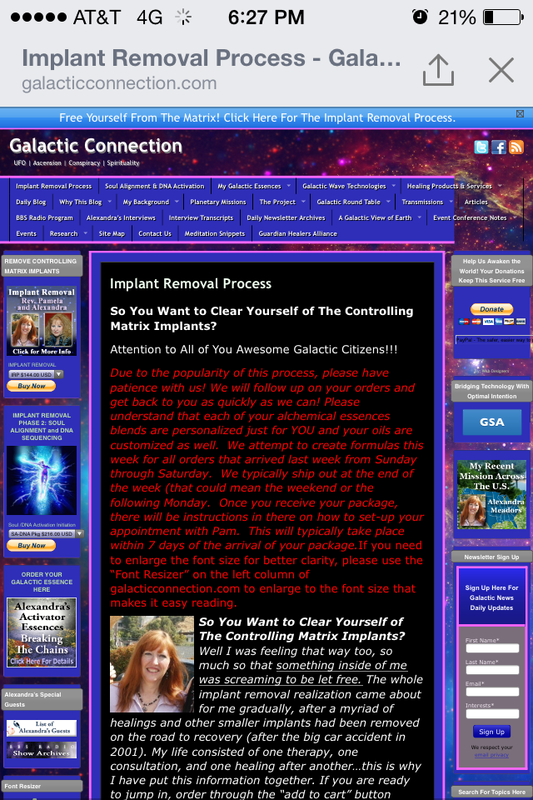 If you visit the website, the Galactic Connection, you’ll find this post about how to get that Matrix device removed. Yes, these people seriously believe stuff that is from the movies. It will cost you $144 and you can even buy some oils along with it! Well, what does the Galactic Connection have to do with SHAKA? It was on that site that the group was first announced. The same folks in California are selling implant removal devices and alien information are behind this movement. Seriously, people believe this stuff! Need I say more about whether or not these folks use evidence in making decisions?! A yes vote means you haven’t quite researched your facts.